This year is quickly drawing to a close and I’m sitting in the living room surrounded by family, smelling breakfast, and getting nuzzled by the dog who seems to want something. While so much happened in our world, it is lovely to take a moment to slow down and remember what has happened within our own clan. Reflecting on the past year, there’s one event that seems to dwarf all others. We moved. Our wonderful neighborhood started to unravel this year as houses sold to developers. We new the change was coming, but it happened quickly and slowly at the same time. Suffice to say, after four months on the market, we are now in a new home and quickly adjusting. 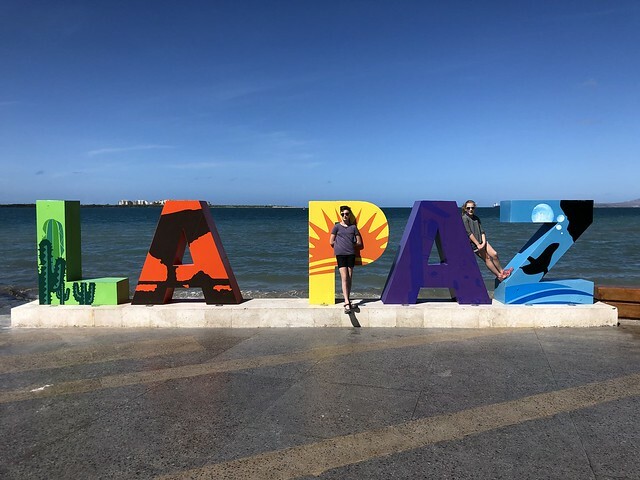 After accounting for the move, the next biggest event was our family trip to La Paz, Baja California Sur (Mexico). It was a wonderful trip that was nearly long enough to get the kids withdrawn from school. Desert, beaches, pools, whale sharks, great food, sea lions, sun, birds, fish, pesos, broken dishwashers, bottled water, and pumpkin flan. Yes, we did Thanksgiving in Mexico and it was fantastic. Madeline, who is assembling legos on the floor, is growing like a weed. She’s gotten so tall and that we sometimes forget she’s just a fourth grader. MG broke her wrist at the playground a week before summer started. She was quite the monster on ketamine and kicked the nurses and Michelle. She doesn’t really remember it that way though. Fortunately, the cast didn’t really slow her down much. 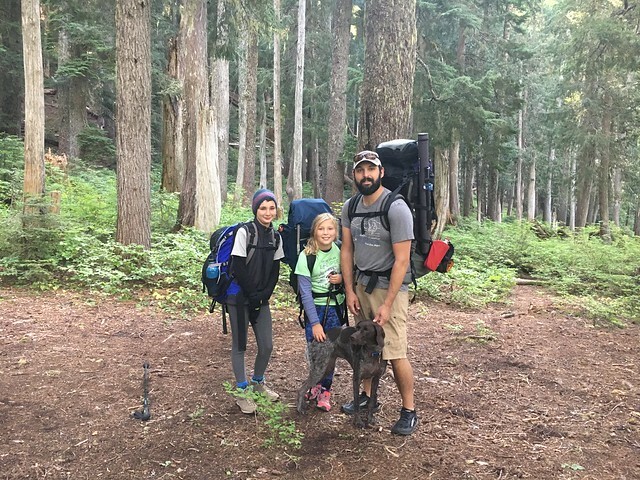 Over labor day weekend, Ella, Maddie, Kona, my dad, sister and I all went on a backpacking trip near Mt. Rainier. It was a fantastic trip with some great views. The kids have been wanting another backpacking trip and we all had a blast. Ella is in seventh grade. This year Ella bought a bass guitar and has started lessons. Papa is proud. Ella has had a series of shortening haircuts and now has hair nearly as short as mine. It looks good, and was also great for all the snorkeling we did in Mexico. 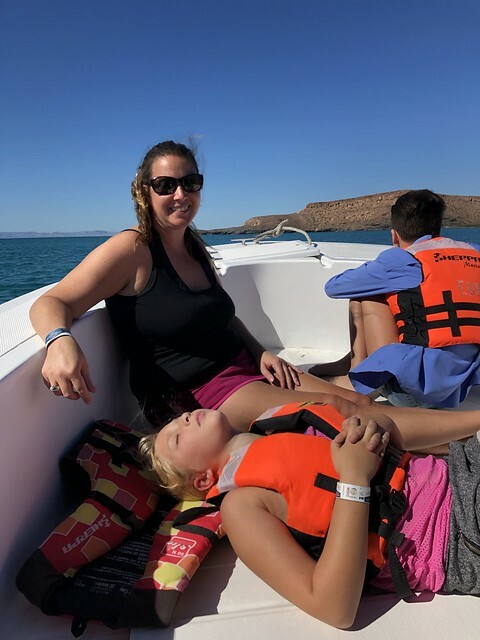 Ella got booped in the face by a sea lion while we explored Isla Espiritu Santo. And while pre-teen is in full effect, Ella remains ever so helpful, thoughtful and kind. Ella is now taking Tri-met to school and seems to love the autonomy. This may be Ella’s last season playing soccer, which is a bit of a shame since it was also the best so far for defensive work. We’ll see what comes in spring. Michelle survived hip surgery at the end of March after suffering through all the protocol to get there. She lived on the first floor for a while and really disliked the lack of mobility. She’s recovering fairly well, though the healing process is a year long process. I think she’s especially glad to be in the new home. Cleaning up after your kids every day to have the house show ready for three months is exhausting and put both of us on edge each morning. But now she’s loving the new kitchen and space even though we’re still adjusting. When we think about all the friends and family we moved away from (or also moved away), we have to remind ourselves that it took time to meet the neighbors and build a community. I’m sure the former president of the neighborhood will adapt. I’ve had a good year as well, all things aside. I turned 40 in September but still don’t really believe that I’m that old. I still slide down railings on stairs and routinely feel like the least mature person in the room. Work is challenging, rewarding, and there is never a dull moment. 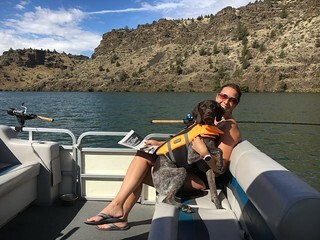 For my 40th, we headed over to the Deschutes to camp with friends and float and fish (and eat and drink). It was wetter than usual but still was fun to be on the river with friends. I managed to fish in Washington, Oregon, Tennessee, Texas and Mexico this year by taking my fly rod(s) with me when I traveled. The Great Smokeys were charming and I had the place to myself to walk up small, steep trout streams through lovely deciduous forest. 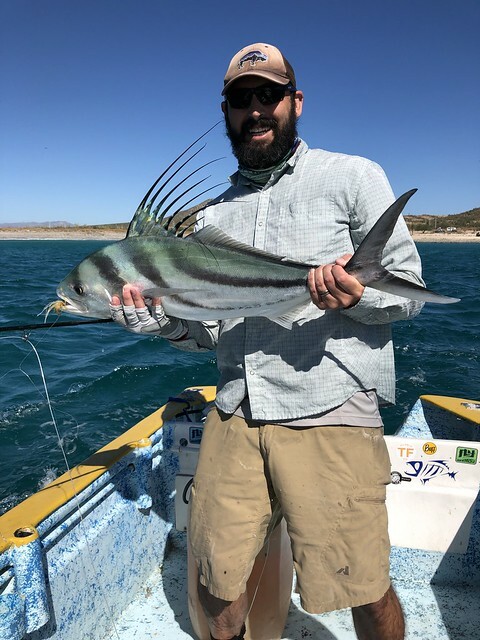 I think the most exciting moment was catching a rooster fish in Mexico. It was the most aggressive thing I’ve ever had on, and it certainly lives up to the mythology. We hope you made it through this tumultuous year and have a wonderful 2019. We hope for wonderful experiences, time with family and friends, and personal growth in the new year. The Freed family had a good year punctuated by the noise of the rest of the world. We welcome the opportunity to come together with family at Christmas and relax, revel, and eat well. There’s also some satisfaction in watching the kids vibrate with excitement about all the happenings of the season. One thing they didn’t anticipate and were therefore unable to count down to (though Michelle and I were) was a surprise trip to Disneyland at the end of November. Michelle made the plans back in May and has been struggling with the excitement of the surprise since. When the day finally came, we sent the kids to school as usual, but then picked them up an hour later with no explanation and went to the airport. On the way, they started some custom word searches with clues and when they figured it out, the confusion and excitement was infectious. We had a great several days enjoying the rides and attractions between Universal/Hollywood, Disney California Adventure and Disneyland over the course of 5 days. 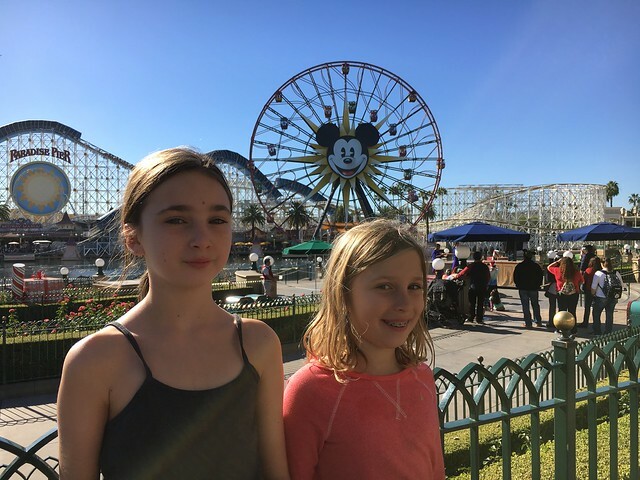 The kids loved the rides, with Tower of Terror being Maddie’s favorite, and the Harry Potter ride probably being Michelle and Ella’s favorite. I get motion sick, but I think California Screamin’ rollercoaster was my favorite. Madeline is nearly eight and continues to develop her personality. She loves gymnastics, singing, and as she often calls it, “drama”. And while she is outgoing generally, she is still somewhat reserved around strangers. She excels in school and is a voracious reader. Her teacher insists that she’s reading at nearly a 5th grade level. She’s also a caring and nurturing person; she looks after her fellow students and kids in the neighborhood. Maddie also picked up the Ukulele and is enjoying playing, singing, and writing songs for us. When asked, her favorite memory for the year was emphatically “Disneyland.” She enjoyed the heck out of the thrill rides and really got in to the screaming aspect of the California Screamin’ roller coaster. Ella turned ten in August and continues to be a quiet and helpful compatriot around the house. She is growing up quickly, developing a desire to bake, paint and sew. This year she got a larger bedroom to herself. It has been fun watching her grow into it, decorating, organizing and sorting things to be just how she wants them to be. 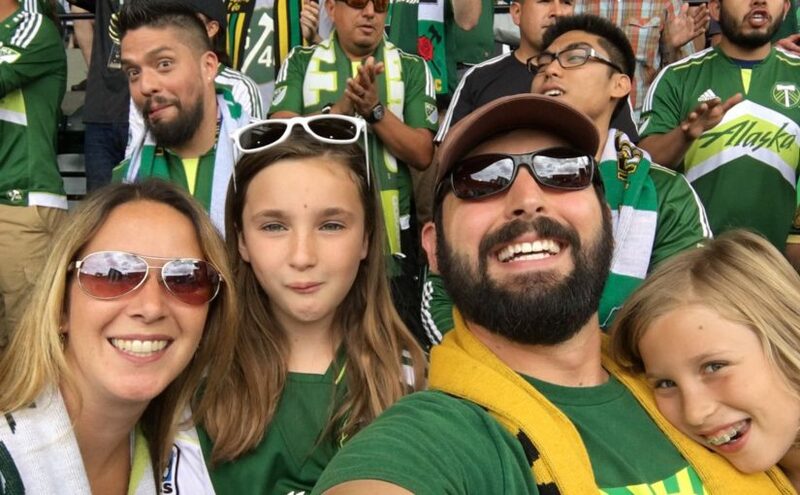 She played soccer in the spring, and showed marked improvement, but due to a sign-up snafu, she missed out on the fall league (and her team of 4 years disbanded!). Hopefully we’ll get back in touch with them in the spring. Ella also excels in school, being given special research, writing and math exercises to keep her challenged. Ella’s favorite memory for the year is a tie between a cruise she went on in June with G&G Freed and the trip to Disneyland. The cruise was a gift for her tenth birthday, and she, my mom and dad sailed from Seattle up to Juneau and back to Vancouver, seeing glaciers, bears, raptors, and more. Michelle continues to be awesome. She orchestrated the whole Disney surprise, after all. She also tends to plan and prepare for many (ok, most) of the camping trips and other adventures – thus keeping us active. She’s entered her 6th year of practice with her own firm and hosted her annual work holiday party just 2 days after we got back from California. The party was somewhat dampened by a winter storm, that dropped the attendance from an expected 150+ to around 40. The icy roads and Portland’s general incompetence meant that most could not travel. Michelle didn’t want to pick a single favorite event, so she split between a week of camping at Simtustus with Kona and I (in other words, no kids!) and the trip to Disneyland. I’ve had a good year as well. It’s my 15th year “with the company,” and work keeps me busy and satisfied. We added a developer to the department this year and I’m excited to see all the cool stuff we can do to support our students and faculty. In November, I attended another social justice workshop which cemented for me that equity is something that we cannot wait for and need to work for in our daily lives. On another front, and despite tendonitis issues, I’ve managed to get out an fish quite a bit all over Washington and Oregon and even caught a fish or two. I also want to pick two favorite activities of the year: First was getting to spend a week with just my wife in Kona, HI for our 15th anniversary (20 together). We ate well, explored, relaxed, and were able to snorkel at the same time without worrying about kids. I face-planted in to the surf while body surfing and was in pain for part of the trip, but it was still a wonderful experience. Secondly, the girls kept asking for me to take them backpacking and we finally did in August right before Ella’s birthday. 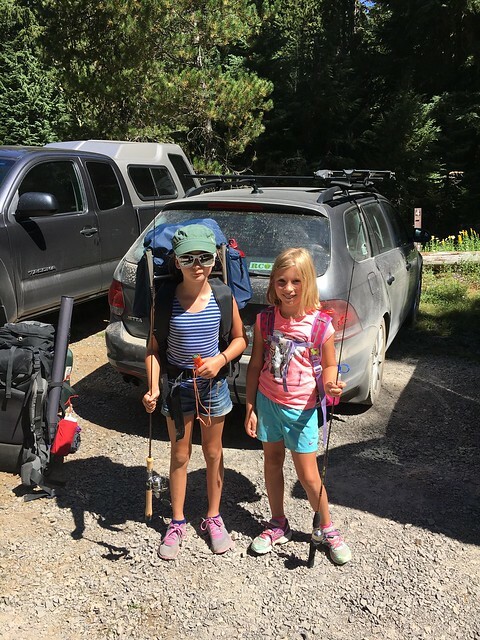 We did a simple overnight trip to Fish Lake in the Ollalie Lakes Scenic Area and had a blast swimming, playing on logs, eating camping food, and not sleeping. The place was beautiful and the kids did amazingly on their first trip so we’ll be going out again. Overall, the year was pretty good on a familial level. While the noise of the rest of the world rattles against the peace we’d like, it forces us to face the world and work for the place we’d like our kids to live in. I’ve somehow completed this year’s christmas letter ahead of schedule. Happy Holidays!